The road is stony and difficult to walk, it is better to wear durable shoes and a hat for protection from the sun. We do not offer this tour under 12 years or more that 60 years old guests, others can take the way easily. 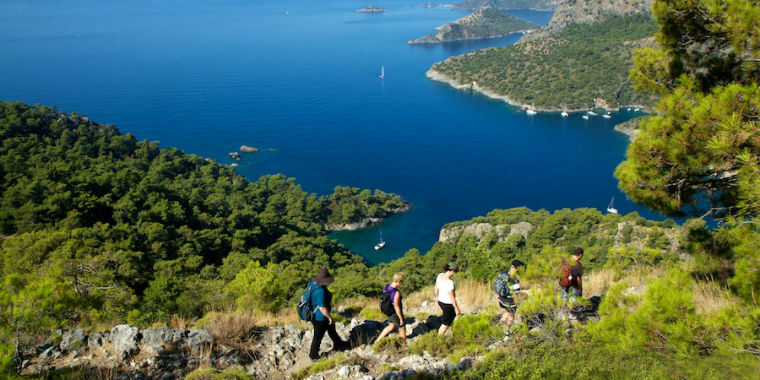 Created in 1999 by English/Turkish trekker extraordinaire Kate Clow, the Lycian Way stretches 540km along the ancient and mysterious country known as Lycia, the 'Land of Light'. 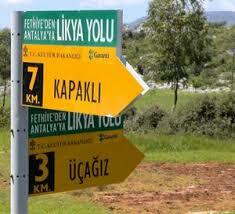 Being the oldest of the now many Culture Routes of Turkey, the Lycian Way is the easiest to access from abroad, has both budget and boutique accomodation options a day's walk apart, and is well marked, with paint and signposts. Tour takes half day on foot .